[UPDATED FOR 2019] GRE vs GMAT - Which Should You Take? GRE Versus GMAT – Which Test Should You Take? 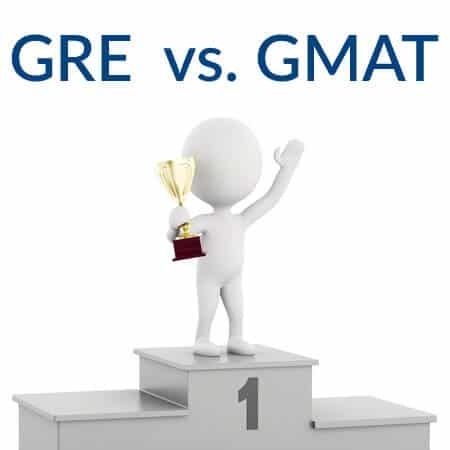 Which is Harder, GRE or GMAT? Does a Certain Type of Person Do Better on the GRE or the GMAT? What are the differences between the GMAT and GRE? You should always contact the admissions department of any graduate school to which you are applying to get the latest information about their admissions process. If you are not applying to business school, your answer is simple: take the GRE. If you are considering an MBA, the answer is more complicated and you may have a choice. According to the Educational Testing Service (ETS), the company that develops, administers and scores the GRE, more than 900 MBA programs in the USA and several hundred programs all over the world now accept both the GRE and the GMAT. As of 2014, 85% of American business schools accept both test scores, and the number has been steadily on the rise (Kaplan 2014). If you are planning to apply to business school, you should find out directly from the schools you hope to attend which exam they accept. In addition to asking whether or not they accept the GRE and the GMAT, you should ask if they prefer one exam over the other, and which scores they consider to be equivalent when comparing the two tests. According to a 2014 survey, 78% of MBA programs reported viewing scores on the GRE and GMAT equally, but it is worth asking each program individually (Kaplan 2014). You should also find out if either exam qualifies students for scholarships or other benefits before you make your decision. Signing up for the GMAT indicates that you are serious about attending business school. This is because only business schools (and all business schools) accept the GMAT, whereas students who take the GRE can also apply to graduate programs in other fields. There is still a minority of MBA programs (18%) who report giving preference to candidates with GMAT scores (Kaplan 2014). If you take a practice GMAT and a practice GRE and discover that you are better at the GMAT, you should definitely stick with that test (unless you are applying to dual degree programs and the GRE is accepted by both programs). Taking only one exam is a more efficient use of your time and more cost effective than studying for and taking both exams. If you haven’t decided whether to go to business school or a different type of graduate program (or if you want to keep your options open until you find out where you’ve been accepted), it is probably better to take the GRE, as long as it is accepted by the business schools to which you are applying. This is particularly true if you have taken a practice exam for each test and scored higher on the GRE. When you apply to graduate school, your test scores should be as competitive as possible to give you the best chance of getting into your first choice school. Most experts agree that neither test is harder than the other, but that does not mean that you won’t perform better on one of them, given your particular skill set. If your math skills are strong and you have little trouble with word problems, the GMAT may be slightly easier for you. Likewise, if you struggle with the finer points of vocabulary and language usage, the GMAT may be the better choice, given that the GRE contains reading comprehension passages, text completion, and sentence equivalence questions that can be trickier and more nuanced than the more straightforward Verbal questions on the GMAT. On the other hand, if your math skills are weak in comparison to your verbal skills, you should consider taking the GRE because many students find the GRE Quantitative sections to be somewhat easier than the Quant sections on the GMAT. A good way to determine which test you should take is to attempt a free practice exam of each. 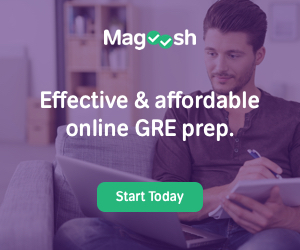 Two full-length GRE practice tests are available on the ETS website, and there are two full-length GMAT practice tests at www.mba.com, the official website of the GMAT. While any “type” of person can achieve good scores on either test with enough studying and preparation, the GRE and GMAT may be better suited to different individuals with different preferences and skill sets. Take a look at some of the statements below and see if they apply to you. I find English and history classes easier. I find math and science classes easier. On a test, I prefer to answer certain questions first and then go back and work on the ones I’ve skipped. On a test, I prefer to answer the questions in order without skipping any. I’ve been told I’m right-brained. I’ve been told I’m left-brained. I don’t mind taking a longer test. I have trouble taking a test that lasts more than three hours. I prefer writing to calculating solutions. I prefer calculating solutions to writing. The order in which sections of a test are presented doesn’t matter to me. I need to have some control over the order of sections in a test. I would rather analyze a problem. I would rather solve a problem. Once again, however, it is important to remember that these factors do not determine who does well and poorly on each test. Both the GRE and GMAT test verbal and quantitative skills. However, if you are having a difficult time deciding, thinking about the things that do and do not come naturally to you, this may help you make a decision. Although both tests share a number of similarities, there are a few important differences in their format, content, and scoring. The GRE and GMAT are both computer-adaptive tests, however, on the GMAT, the level of difficulty for each individual question you receive is based on whether or not you answered the previous question correctly. As a result, you cannot skip a question or come back to a question and change your answer later on. By contrast, the GRE revised General Test is adaptive at the section level (as opposed to adapting to each individual question you answer). So, the difficulty of the second Verbal Reasoning or Quantitative Reasoning section on your GRE will depend on how well you performed on the first section of that type. This also means that you can skip or go back to questions and change your answers within the same section. The GRE revised General Test is designed to measure your verbal reasoning, quantitative reasoning, critical thinking and analytical writing skills to determine your suitability for graduate study. There are three parts to the GRE: A Verbal Reasoning section, a Quantitative Reasoning section, and an Analytical Writing section. (There is also an unidentifiable unscored section to test questions that may be used on future exams). The Analytical Writing section will come first, and the other sections may be given in any order after that. You are given two essay topics, including an “Analyze an Issue” task, and an “Analyze an Argument” task. The Analyze an Issue task evaluates your ability to think critically about claims made about a general topic and requires that you write a clear response according to specific instructions. You are typically asked to agree or disagree with the claim or statements and explain why. The Analyze an Argument essay task measures your ability to understand, analyze and evaluate an argument or line of reasoning and express your evaluation in writing. You must analyze and discuss the logical soundness of the argument that is given and determine if there is enough evidence in the text to support that argument. Reading Comprehension: You must read the passage and answer the questions that follow or click on a sentence in the passage that meets a certain description. Text Completion: You must fill in the blanks in sentences (you are given various options for each blank). Sentence Equivalence: You are asked to select two answers that complete a sentence that simultaneously fit the meaning as a whole and produce a sentence that is similar in meaning. This section measures your ability to understand, interpret and analyze quantitative information, solve problems by using mathematical models, and apply basic mathematical concepts and skills based on arithmetic, algebra, and geometry. The revised GRE now includes an on-screen calculator for test-takers. Quantitative Comparison Questions: You must compare two quantities and determine the relationship between them. Problem Solving Questions: You will need to use basic math skills and concepts. Data Interpretation Questions: You must solve these problems based on information provided a set of charts or graphs. Your test may include one additional section of either Verbal or Quantitative questions. A Research Section may be included at the end of the test. It is unscored and clearly marked. Questions in this section contribute to ETS research. An Unscored Section may be included at any point after the Analytical Writing Section and will contain 20 Quantitative or Verbal questions that are being tested for future use. While it is also unscored, you won’t know which section it is, so it is best to treat all Quantitative and Verbal questions as though they will be scored. Unscored or Research section: either 30 or 35 minutes, depending on whether it is Verbal or Quantitative. The GMAT aims to measure various analytical and problem solving skills along with other abilities that are considered critical in business and management. There are four parts to the GMAT: the Analytical Writing Assessment (AWA) essay, an Integrated Reasoning (IR) section, a Quantitative section, and a Verbal section. Each section of the GMAT contains specific types of questions. You will be given three options for the order in which you wish to take the four sections. This section requires an analysis and critique of the reasoning behind a specific argument that is provided. It measures critical thinking skills and your ability to communicate those in writing. This section measures your ability to integrate data to solve complex problems. All parts of each question must be answered correctly in order to gain a correct score. Graphics Interpretation questions present a graphical image and ask you to choose correct statements about the graph. Two-Part Analysis questions require you to select an answer in each of two columns that will result in a two-part solution. Table Analysis questions involve interpreting data from a table to determine which of the given statements are true or false. Multi-Source Reasoning questions require you to sort through multiple sources to find the data needed to answer the question. This section attempts to test your content knowledge of essential math skills and measures how well you analyze data and use reasoning to draw conclusions. Data Sufficiency questions typically consist of a question and two statements of data, and you must decide if those statements provide enough data to answer the question. Problem Solving questions require knowledge of arithmetic, algebra, and geometry. This section measures skills beyond the mathematics. You will be tested on your ability to comprehend, evaluate, and correct the written word. Reading Comprehension questions evaluate how well you understand, analyze, and apply information and concepts based on reading a text. Critical Reasoning questions involve using reasoning skills to formulate and evaluate arguments and plans of action. Sentence Correction questions require you to determine which version of five possible sentences is the most grammatically correct. AWA: 30 minutes to write an essay on one topic. IR section: 30 minutes to answer 12 questions. Quant Section: 62 minutes to complete 31 questions. Verbal Section: 65 minutes to answer 36 questions. As of April 16, 2018, the GMAT is half an hour shorter than it was previously. The Quantitative and Verbal sections have fewer questions, so the amount of time per question hasn’t changed, only the total exam time. GMAC, the producer and distributor of the GMAT, has promised to update the practice tests available on their website no later than April 30, 2018. As with any type of test, the amount of time students must study to achieve a good score varies widely among individuals. Those with a natural proclivity for taking standardized tests probably won’t have to study as much as those who are less adept at taking tests or not as confident in their mathematical or grammatical abilities. In addition, non-native speakers of English may need to study much longer than native speakers of English to perform well on the Verbal sections. According to GMAC just over half of all test takers in a 2013 prospective student survey studied at least 51 hours before they took the exam (Schoenfield 2013). The survey found that, on average, those who spent more time studying for the GMAT tended to perform better on the exam. Kaplan goes even farther, advising 100-120 hours of studying and stating that top scorers spend more than 120 hours on practice materials. GMAC recommends registering two to three months prior to your preferred test date to give you plenty of time to study. To reach 120 hours of studying, Kaplan advises spending 12 hours per week over ten weeks with no more than 2-3 hours each day to give you time to process and retain the required information. The best GMAT review courses offer hundreds of hours of study material for students to choose from, so prioritizing study schedules is a must! Most GRE prep course companies recommend that you begin to study several weeks to a few months before taking the GRE to familiarize yourself with the different sections of the exam, take practice tests, and study those areas that need improvement. If you are still in school or a recent graduate and your math skills are decent, you may only need a few weeks of practice. If you struggle with the Verbal or Math sections in a free GRE practice test, you will want to study up to a few months to achieve your best score. Kaplan recommends between 50 and 200 hours of studying to hit your target score. However, the quality of your study hours matters as much, if not more, than the number of hours you study. Targeted and consistent study for a specific amount of time each day over several weeks or months with quality materials will probably lead to greater success than studying too much in too little time right before you take the GRE. The GRE reports three different scores, one for each of the sections described above. Verbal Reasoning is scored on a scale from 130-170 in one-point increments. Quantitative Reasoning is scored on a scale from 130-170 in one-point increments. The Analytical Writing score is reported on a 0-6 score scale in half-point increments (for example, it is possible to get a 4.5 on the essay). As of 2016, ETS reports an average (mean) score of 150 in Verbal Reasoning, 153 in Quantitative Reasoning, and 3.5 in Analytical Writing. Test takers who reported that their goal was acceptance into an MBA program scored an average of 150 Verbal, 150 Quantitative, and 3.6 Writing – not substantially different from the total average (ETS 2016). For more information about GRE scoring and reporting, click here. The GMAT has a more complex scoring system than many other standardized tests. The Quantitative and Verbal Sections are scored on a scale of 0-60. The Verbal and Quantitative scores are then combined into a total score on a scale of 200-800. These two sections are part of the computer adaptive test. As you answer questions in one of these sections, computer software evaluates each answer, updates your score, and chooses the next question from a question bank by adapting to your apparent skill level. You may not skip or return to questions. The AWA and IR Sections are not computer adaptive and are scored on a scale of 0-6 and 1-8, respectively. These two sections are scored separately, and are not included as a part of the 200-800 score for the combined Quant and Verbal sections. As of 2017, GMAC reports an average (mean) total test score of 556. This includes an IR of 4.2, an AWA of 4.4, a Quant of 39.4, and a Verbal of 26.9. It is rare for someone to score lower than 9 or higher than 44 on the Verbal section and lower than 7 or higher than 50 on the Quantitative (GMAC 2017). ETS provides a tool to help institutions (such as business schools) interpret GRE scores in comparison to GMAT scores more or less reliably. Based on scores from ETS, we’ve created a GRE to GMAT conversion calculator to help you see what any given GRE scores equate to on the GMAT and vice versa. GRE scores for Verbal and Quantitative Reasoning are reported separately, whereas the GMAT score is presented as a total. However, ETS reports that the correlation between the two test scores is 92% accurate (ETS 2017). Just input your GRE scores for Verbal Reasoning and Quantitative Reasoning below and you’ll see your estimated equivalent GMAT scores. The GRE is less expensive than the GMAT, and it may be easier to find a testing center that administers the GRE. The computerized GRE is offered at Prometric test centers. 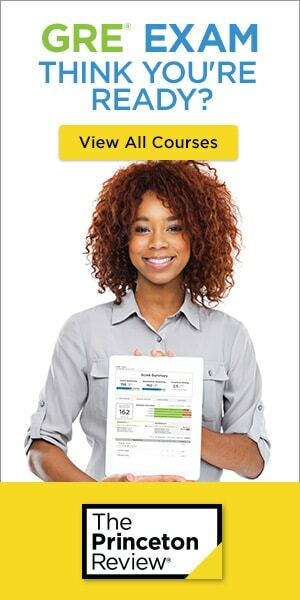 GRE Cost: The standard fee for an on-time registration for the GRE is $205. Late registration costs an extra $25 and rescheduling your test or switching testing centers incurs a $50 fee. GMAT Cost: The standard fee for scheduling the GMAT is $250. Rescheduling the exam will cost $60 if it occurs more than seven days before your test date or the full $250 fee if it is less than a week before you are scheduled to take the test. Scheduling, changing or cancelling an appointment over the phone, rather than by computer, will incur an extra $10 fee. The GRE is more widely available in cities and countries around the world than the GMAT, so, depending on your location, it may be more convenient to take the GRE. Taking the GRE or GMAT is a key element of the graduate school application process. Admissions committees carefully consider test scores when they decide which candidates to accept to their programs. Our advice is to do your homework and find out if the programs that interest you most prefer one test over the other. If they will accept either test, you should choose the test that most closely matches your plans for graduate school and your skill set. Once you decide on the test, consider enrolling in one of the many excellent online prep courses for the GRE or GMAT to maximize your score on either exam. We have done the research for you; all you have to do is pick the course that best suits your needs. COMPARE THE BEST GRE PREP COURSES! COMPARE THE BEST GMAT PREP COURSES!